Marilyn is a Director of The Creativity Centre UK Ltd, and Chief Executive of The Creativity Centre Educational Trust charity. She is a chartered psychologist specialising in international research and consultancy in creativity, innovation and entrepreneurship, and an experienced academic (formerly Reader in Psychology at Leeds Metropolitan University, now Beckett University). At Leeds, Marilyn introduced a series of accredited undergraduate and post-graduate awards in applied creativity. These were successfully accessed by several thousand students over a fifteen year period. As well as conducting her own research into creativity in teaching and learning, she supervised MPhil/PhD students and was responsible for managing the research activity of her School. 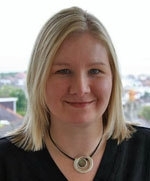 Her work at Leeds also included course development and delivery in Human Development (including development in early and late old age), Cognitive Development in all ages, Play Therapy and the role of play for children and adults. She was based in the Faculty of Health & Social Care where she worked with mature students in social work, youth and community work, health, business, education, psychology and voluntary sector management. She has acted as an examiner for an MPhil by research in Social Work and most recently for a PhD in Creativity Development for the Institute of Education in London. She has also acted as project evaluator for NESTA, the Economic & Research Council (ESRC) and the Arts & Humanities Research Board (AHRB). And she has served on the validation panels for the MA in Entrepreneurship for Creative Industries’ Practice at Plymouth College of Art and for the MA in Creative Thinking at the University of Central Lancashire. She has worked as a consultant in creativity development for the DfEE, the Qualifications & Curriculum Authority (QCA) and the National Advisory Committee on Creative & Cultural Education (NACCCE), amongst others. Marilyn played an active role in the European Year of Innovation & Creativity (EYCI) and was consulted on the development of creativity by members of the European Commission responsible for EYCI. She was an invited keynote presenter on Creative Education in the UK and Forging to Creativity Agenda for Malaysia along with members of the Nobel Prize Committee in Kuala Lumpur. Her work is published in refereed journals and the popular press in the UK and overseas. She has delivered keynote presentations on creativity development in various countries, for example in the USA (Torrance Lecture Series), Malaysia (Launch of Nobel Prize Centennial Exhibition), Romania (Technical University, Iasi), Portugal (University of Lisbon & ISCTE), and Japan (51st Annual Meeting of the Association of Educational Psychologists). She is a member of the Society of Authors and founder/ co-editor of the international ejournal, Creativity & Human Development. Marilyn has a particular interest in the contributions of different countries and cultures to the field of creativity. articles, chapters and toolkits about the benefits of diversity for creativity, including Creativity & Cross Cultural Differences for the prestigious Encyclopedia of Creativity 2nd Edition. She has presented at international conferences including CPSI (Creative Problem Solving Institute) and also organised the first international Creativity & Cultural Diversity international conference, featuring key creativity pioneers from around the world. To further develop her extensive knowledge of international creativity tools and techniques, Caroline is currently co-facilitating the Japanese KJ Ho creative problem solving methodology with Dr Toshio Nomura for Hi-Tech companies in Devon. 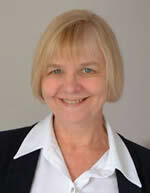 She is also a Co-Editor of the Creativity & Human Development International eJournal www.creativityjournal.net. We also draw on our extensive network of international associates which enables us to provide a service to suit your exact needs.